Christmas Ornaments Made in USA - 2009 White House Historical Ornament Set - A Christmas Ornament Co.
Start your collection of official White House Christmas Ornaments today with the new 2009 White House Ornament Gift Set. 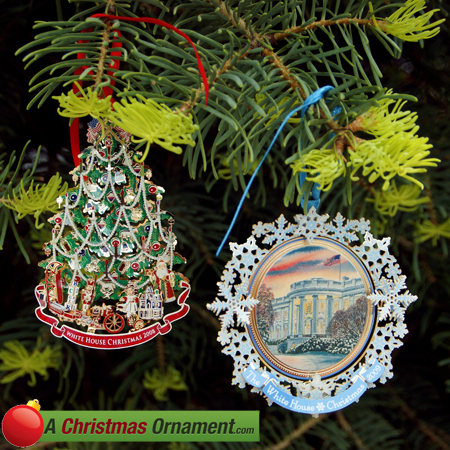 Save money when you purchase this year’s 2009 White House Grover Cleveland Ornament along with last year’s 2008 White House Benjamin Harrison Ornament. These beautiful, American-made keepsake ornaments are perfect for children or to mark a special year in you or your family and friends’ lives.